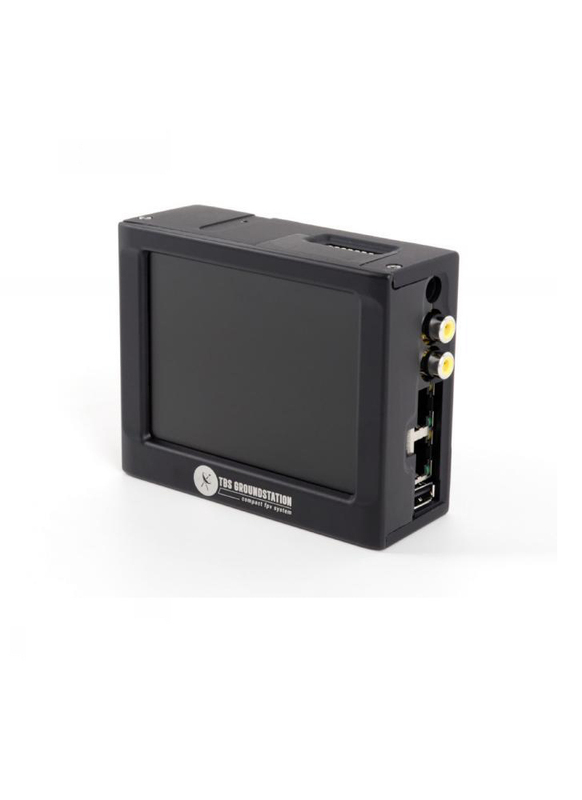 At the heart of the Groundstation is a built in 2.4GHz receiver feeding a LCD screen and four buffered video outputs, protected by a custom aluminum enclosure. A barrel connector provides juice to your video goggles, allowing you to power everything off a single 3S battery. The built-in low voltage alarm lets you know when the fun is over before the lights go out. The LCD screen is 4-inches and it can be turned on and off to save power. It works in the brightest of daylight thanks to the LED-backlight. All the display settings have been tweaked beforehand for maximum picture quality. Putting a small display on the groundstation makes it perfect for portable use and travelling. Another cool feature is the VTx port, which can power an external video transmitter (on another frequency, e.g. 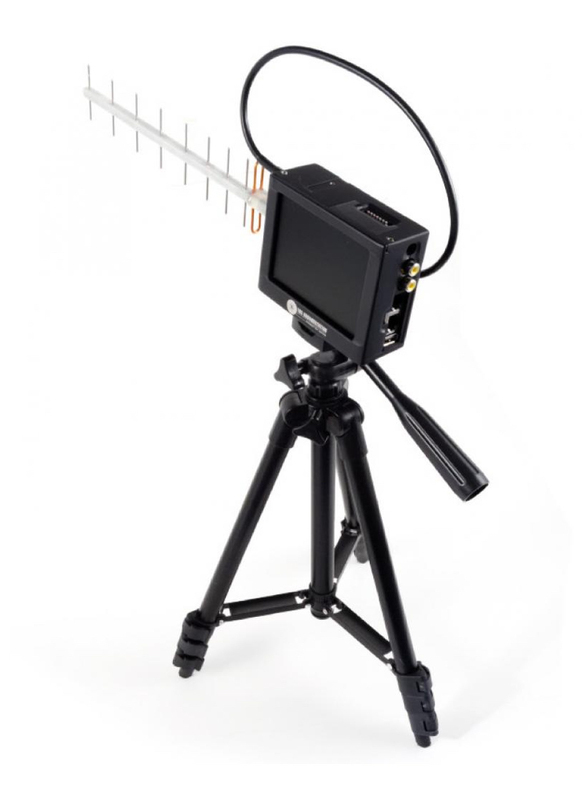 5.8GHz) with any antenna for re-broadcasting the video feed locally. This makes it easy for fellow pilots or bystanders to tune in on the feed. 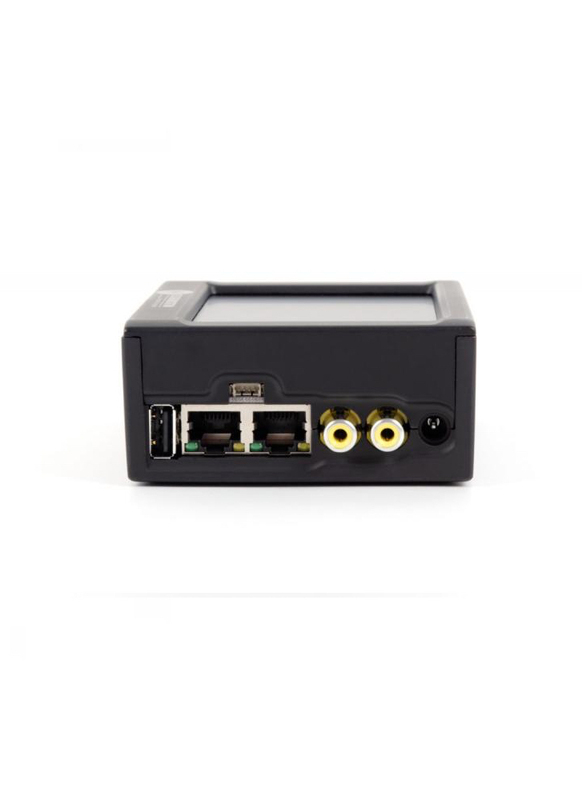 Any device with a suitable video receiver (wireless DVR, receivers, screens, goggles, etc.) can all grab the video feed, untethered to the groundstation, and follow the flight. Because the signal path is analog there is virtually zero latency. Last but not least, there is a USB port (+5V 1A) which can handle charging of GoPro’s, DVR’s, goggles or mobile phones. This is a great for extended flying sessions out in the field or remote areas. Important: If you use a 2.4GHz R/C radio you must select a video channel which does not lie in its band (generally CH5 to CH8). Better still, use a R/C system on a different frequency, either 36MHz, 72MHz, 433MHz (UHF), or 5.8GHz to control your model. We recommend using the TBS Crossfire for long range RC control. The TBS UNIFY PRO 5G8 gives you 600m (and more!) of rebroadcasting range and P-P-P-Power! Follow these simple rules, even if rumors on the internet suggest otherwise, and you will have success in 2.4Ghz FPV. Start with the bare essentials and add equipment one step at a time, after each new equipment was added to proper range- and stress tests. Do not fly with a video system that is capable of outperforming your R/C system in terms of range. Do not fly with a R/C frequency higher than the video frequency (e.g. 2.4GHz R/C, 900MHz video). Try to achieve as much separation of the VTx and R/C receiver as possible to lower the RF noise floor and EMI interference. Do not buy the cheapest equipment unless it is proven to work reliably (e.g. parts falling off, multitudes of bug fix firmware updates, community hacks and mods are a good indicator of poor quality and something you do NOT want to buy for a safe system). Do due diligence and some research before sending your aircraft skyward. Monitor the vitals of your plane (R/C link and battery). Flying with a digital R/C link without RSSI is dangerous. Do not use 2.4GHz R/C unless you fly well within its range limits, in noise-free environments and always within LOS. Since this is most likely never the case, it is recommended to not use 2.4GHz R/C systems for longer range FPV. 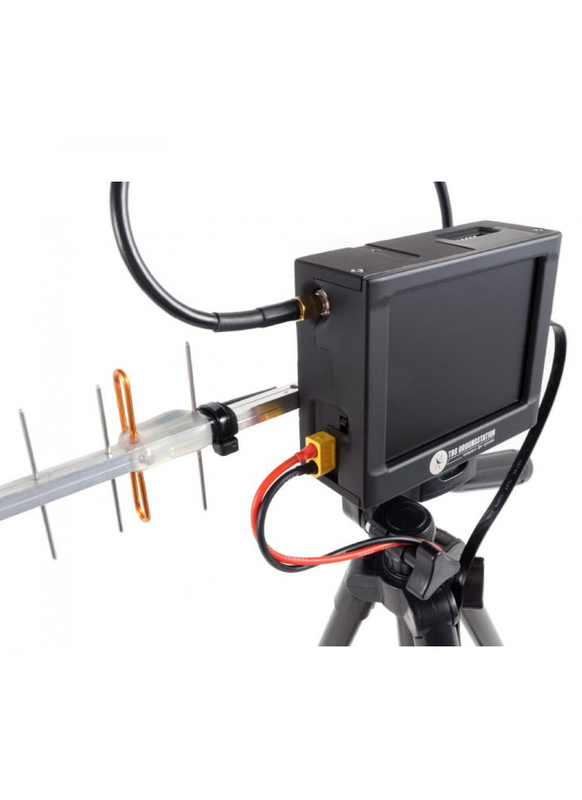 Do not fly at the limits of video, if you see noise in your picture, turn around and buy a higher-gain receiver antenna before going out further. Shielded wires or twisted cables only, anything else picks up RF noise and can cause problems. When using powerful R/C transmitters, make sure your groundstation equipment is properly shielded. Adding Return-To-Home (RTH) to an unreliable system does not increase the chances of getting your plane back. Work on making your system reliable without RTH first, then add RTH as an additional safety measure if you must. Avoid powering the VTx directly from battery, step-up or step-down the voltage and provide a constant level of power to your VTx. Make sure your VTx runs until your battery dies. Do not power your camera directly unless it works along the complete voltage range of your battery. Step-up or step-down the voltage and provide a constant level of power to your camera. Make sure your camera runs until your battery dies. A single battery system is safer than using two dedicated batteries for R/C and FPV. Two batteries in parallel even further mitigate sources of failure. 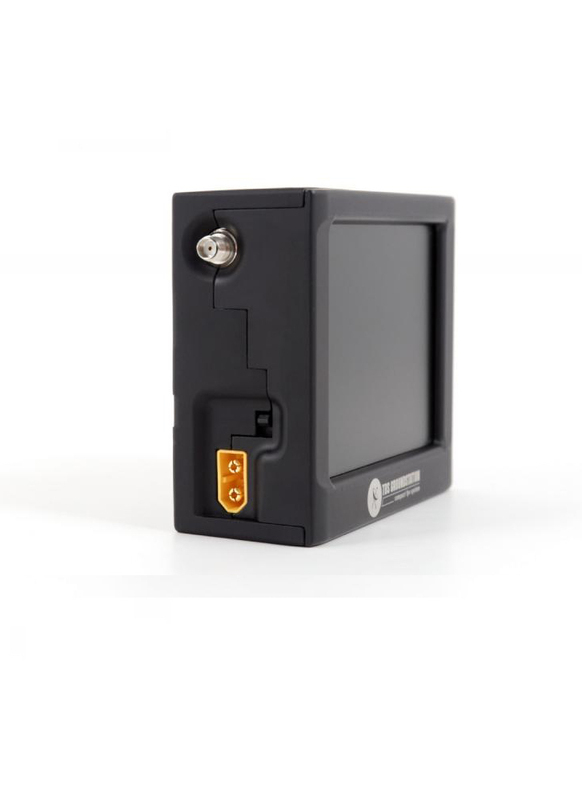 For maximum video range and “law compatibility”, use 2.4GHz video with high-gain antennas. When flying with R/C buddies that fly on 2.4GHz, or when flying in cities, it is perfectly possible to use 2.4GHz video provided you stick to the channels that do not lie in their band (CH5 to CH8 for Lawmate systems, available from TBS). Do not use diversity video receivers as a replacement for pointing your antennas, diversity should be used to mitigate polarization issues. Improving the antenna gain on the receiver end is better than increasing the output power (except in RF-noisy areas). More tx power causes more issues with RF on your plane. 500mW is plenty of power!